_ There are different types of Department of Human Services (DHS) involvement in family law cases. The DHS Child Support Enforcement Division performs Paternity testing and makes orders for payment of Child Support. This type of DHS action does not establish or enforce your rights to visitation with your child(ren). To get a visitation schedule the other parent is legally required to follow, you will need to file a Paternity Action in the District Court. This is necessary even if DHS has already determined that you are the child's father. Until you establish your legal rights, the mother has sole custody. 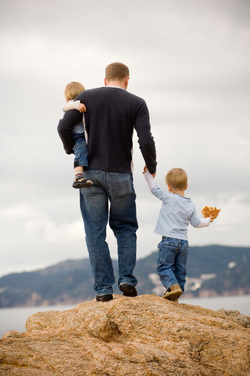 You need to immediately begin paying child support if you are not already doing so. Keep a receipt of all payments. DHS has the power to issue an income assignment for payment of child support, and file a Contempt Citation for failure to pay child support. DHS may also seek to have your drivers' license suspended and levy bank accounts for failure to pay child support. You have the right to ask for a review hearing with DHS, and it is helpful to have an attorney to help you in these proceedings. Another type of DHS involvement in family law cases is a Deprived Child proceeding. This happens when there is an allegation of child abuse and/or neglect made against a parent.The DHS can seek termination of parental rights to a child(ren)! If you or your child(ren)'s mother are being investigated by DHS, please contact us as soon as possible for assistance with your defense. If you have any questions for us, or would like information about setting up an appointment, please Click Here.